The Fifth Wheel serves straightforward — and delicious — breakfast fare. If you don't live in San Leandro, it can be easy to miss the fact that the town is filled with restaurants representing a huge variety of cuisines, often at extremely reasonable prices. There are far too many gems in San Leandro to list all of them here, but here are a few picks. You won't find Liberian cuisine anywhere else in the Bay Area, so it's absolutely worth a trip to San Leandro to visit Kendejah Restaurant. Liberia's history is part of what makes its cuisine so unique: The country was founded by freed former slaves from the United States who migrated to the West African region, bringing their Southern culinary influences with them and thus creating a fusion of West African and Southern cuisines. Owner Dougie Uso, who grew up in Liberia and came to Oakland when he was 15, makes a point of informing customers about Liberia's history with a colorful mural on the wall depicting Liberia's first eight presidents. Some popular items from the regular menu include jollof rice, oxtail stew, and attieke (grated cassava root) served with whole fried red snapper. Look out for specials like potato green stew and palm butter stew. For those with dietary restrictions, ask to have a dish made vegetarian or vegan. Kendejah, 197 Pelton Center Way, San Leandro, 510-756-6049. 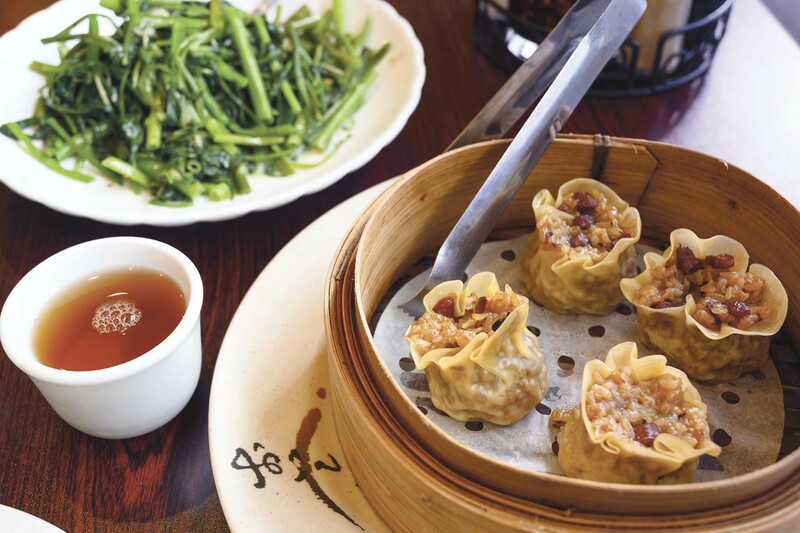 Surprisingly, there aren't many places in the East Bay to get good xiao long bao (soup dumplings) — and there are even fewer places where you can find sheng jian bao (crispy pan-fried pork dumplings). Thankfully, Xiang Yuan Xiao Long Bao offers satisfying versions of both, and both are must-order dishes here. The soup dumplings are filled with flavorful, piping hot broth and pork, and the sheng jian bao have a juicy, slightly soupy pork filling encased in a bao that's crisp on one side and soft and fluffy on the other. Don't miss the dry-fried string beans with pork. 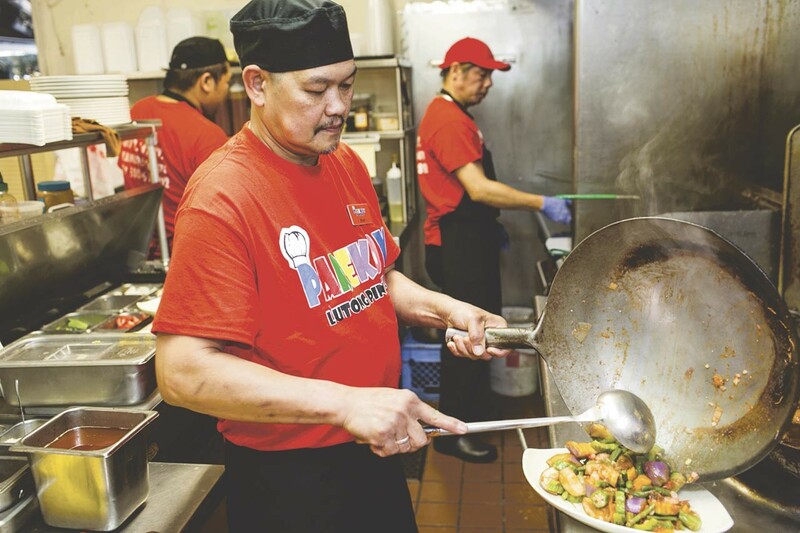 Other solid options include a crisp, flaky, green onion pancake, chewy stir-fried rice cakes with pork and pickled vegetables, and Shanghai-style fried udon. Xiang Yuen Xiao Long Bao, 1668 E. 14th St., 510-351-6698, San Leandro, XiangYuanSanLeandro.com. If you're tired of paying upward of $20 for gussied-up eggs Benedict, maybe it's time to revisit breakfast in its most straightforward iteration at The Fifth Wheel. 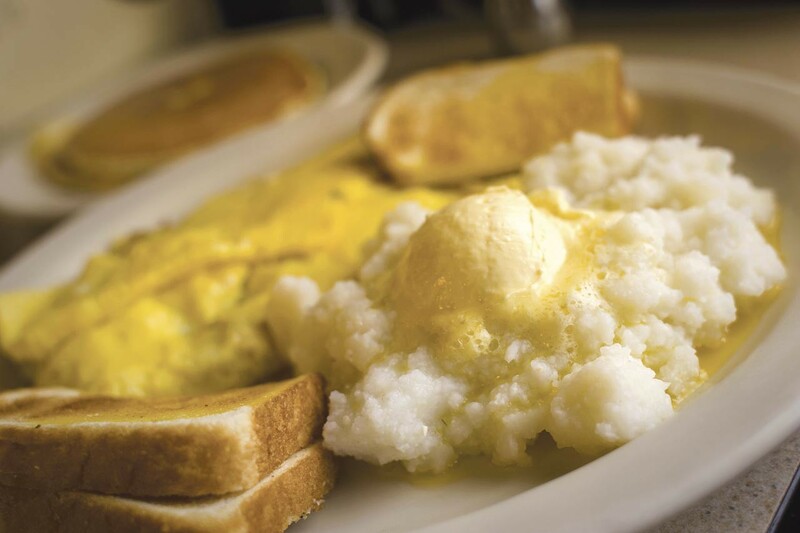 The tiny diner has been open since 1946, and the menu still feels refreshingly old-school. Take a seat at the counter and have one of the many omelets, the French toast, or a giant plate of pork chops and eggs. There are a few surprises, too, like the breakfast plates with chicken teriyaki or Korean BBQ pork. For bonus points, choose white or brown rice as a side so you can mix your runny fried egg yolks with the rice. Fifth Wheel, 898 San Leandro Blvd., San Leandro, 510-635-7538, FifthWheelFood.com. 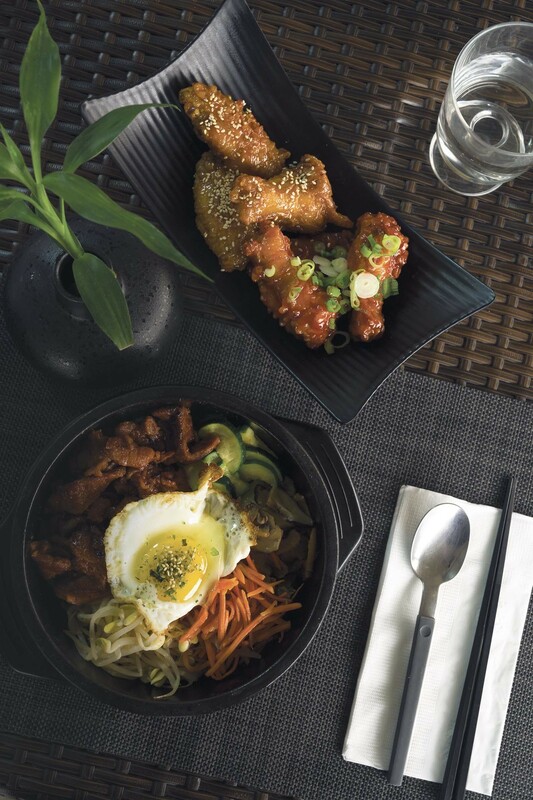 At Maejoo, a tiny restaurant tucked away in Pelton Plaza, chef Soojin Kim puts a made-from-scratch, often health-conscious spin on Korean classics. Meals begin with a free opener of meju, a salty-funky fermented soybean paste, with carrots and cucumbers for dipping. Guests also receive a small, rotating selection of banchan, such as fish cakes, pickled daikon, or housemade kimchi. Appetizer options include a thick yet surprisingly crisp kimchi pancake and fried chicken wings, tossed in either a gojuchang-based sweet spicy chili sauce or a garlicky sweet sesame soy glaze. For entrées, try the bibimbap — Kim ups the portions of vegetables and proteins and uses less rice to make it a little more low-carb, which ultimately leads to a more filling, satisfying bowl. The barbecued meats, such as the galbi, are all made using top-quality meats. For vegans, vegetarians, and meat-eaters alike, the tofu stew is stellar — it's made with a base of soybeans that Kim ferments herself, and generous amounts of vegetables and proteins are included. Maejoo, 185 Pelton Center Way, San Leandro, 510-878-2756. Next time you're craving a Filipino breakfast, head to Parekoy Lutong Pinoy and take your pick of silogs (fried eggs over garlic fried rice) with proteins like bangus (milkfish), tocino (sweet cured pork), or longanisa (pork sausage). For lunch or dinner, get the lumpia Shanghai as a starter, which comes a whopping 20 pieces to an order. As for entreés, this place is a pork lover's dream, with lots of different pork dishes to choose from including pork sisig, lechon kawali, and pork blood stew. If you somehow manage to save room for dessert, try the halo-halo, turon (banana egg rolls), cassava cake, or leche flan. Parekoy Lutong Pinoy, 14807 E. 14th St., San Leandro, 510-614-8112, ParekoyLutongPinoy.com. There's a wealth of Mexican restaurants in Oakland, but there aren't too many that offer birria, a slow-cooked, meaty stew often made with beef, goat, or lamb. Here, you can choose from all three varieties, served on a plate with rice and beans, in its own juices as a stew, or — my personal favorite method — in crisp fried tacos with grilled onions on the side. Aside from birria, there are also plenty of seafood options, like shrimp cocktails or aguachiles, to choose from. United Mariscos y Birrieria, 2170 Washington Ave., San Leandro, 510-686-1469. Don't miss the namesake dish, moussaka, at this mother-daughter owned Mediterranean eatery. It's got roasted eggplant layered with ground lamb, with béchamel sauce and mozzarella cheese for added richness. But the rest of the menu is worth exploring, too, with appetizers like grilled octopus and a combo platter including falafel, dolmades, muhammara, hummus, tahini, and baba ghanoush. Entreés like the lamb tagine with apricots and chickpeas fit neatly into the Mediterranean theme, while dishes like chia seed-crusted Alaskan salmon with apple-fennel salad push the boundary. There are a number of vegetarian, vegan, and gluten-free options, too. Moussaka, 599 Dutton Ave., San Leandro, 510-850-5020.